Well our late October heat wave has turned into Autumn proper now, clocks have gone back and the leaves are falling off the avenue of lime trees that lead to the workshop. Very beautiful but as always tinged with sadness at the end of another summer. Still it was a good excuse to take a walk with the camera. We still have to do the scorching to black on all but the ‘chair’ elements. 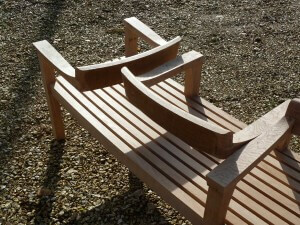 The big curvy 10m long version for outside Waitrose in Dorchester is going to look really exciting, can’t wait. We won’t be fitting it until the spring of next year which seems like an age away but I know it will come around quickly. 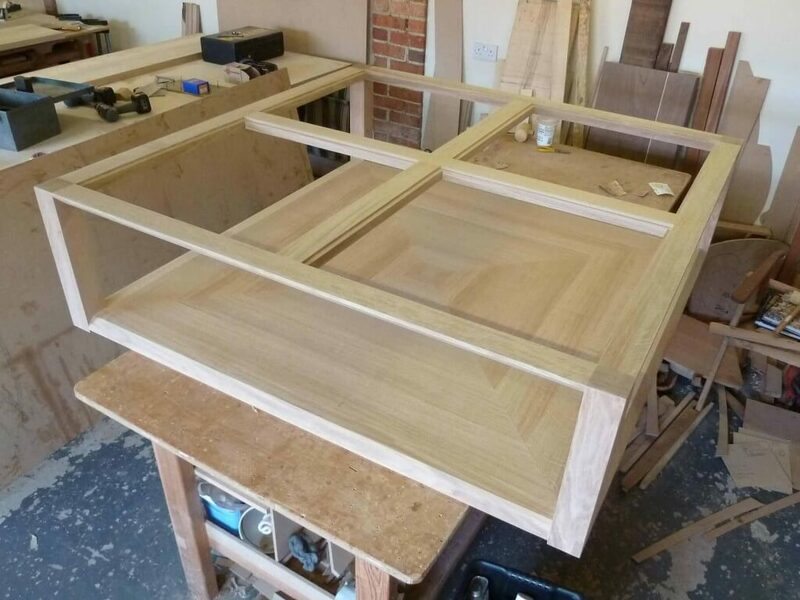 I’ve been a slave to the design computer for the past few weeks, working on a big kitchen – the next job through the workshop, and proposals for a beautiful church pulpit which I just finished. That one is a competition but I really hope we get it, it’s a lovely organic shape that fits in so well in this 12th century church interior. 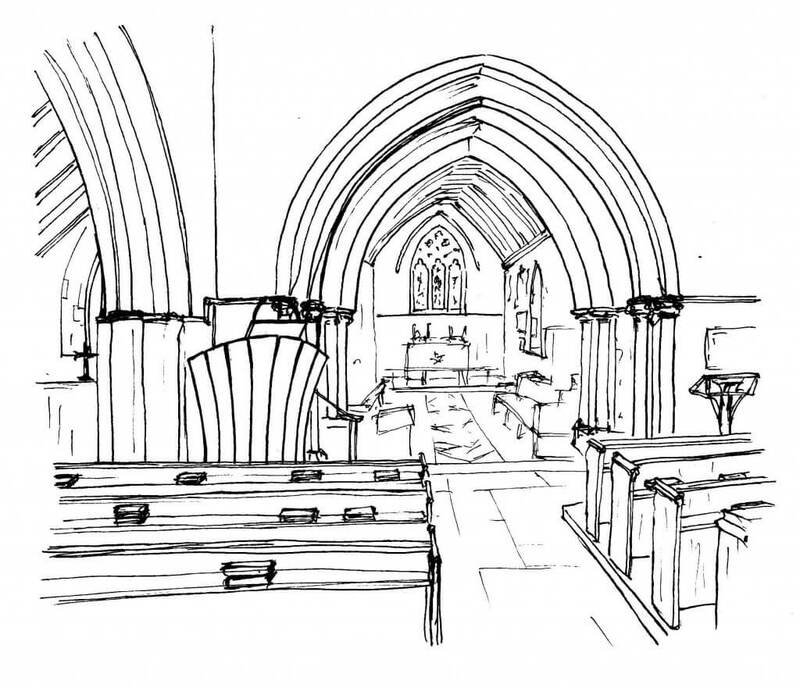 It’s brave to commission something so contemporary but absolutely the right thing to do, after all a church can’t be frozen in time, many are stuck with their Victorian furniture which frankly is just not fit for purpose when churches are trying to be relevant in modern society. I guess I’ll contemplate more on this if I get the job! Still, I’m loving the variety of work we are getting right now. 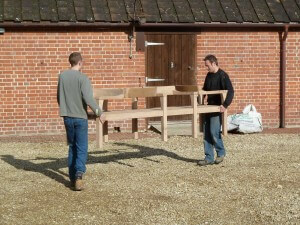 We have slipped in a couple of smaller jobs as well, I say small but the 5ft square coffee table was anything but really. 5ft didn’t sound big, but it took up loads of space, didn’t fit in my van, didn’t go up the stairs at the clients Sloane Street flat, so had to be craned in through a second floor window at 6am in the morning, and it only just fitted through that. Easy! Have to get a shot of it finished in-situ with the glass top in. 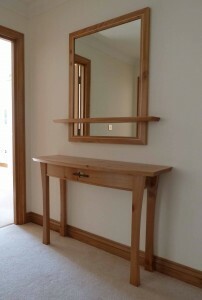 Also did a really nice elm console and mirror for a lovely local client. It’s probably the closest thing we do to a repeated ‘product’, we have done 3 or 4 of these now. So next up is another big kitchen in cherry and walnut with big double d-end island in the middle. Should be well into it by mid November.